Do your kids love Halloween? 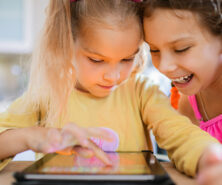 Halloween is such a fun time for kids to dress up in costumes and do fun Halloween activities like crafts. 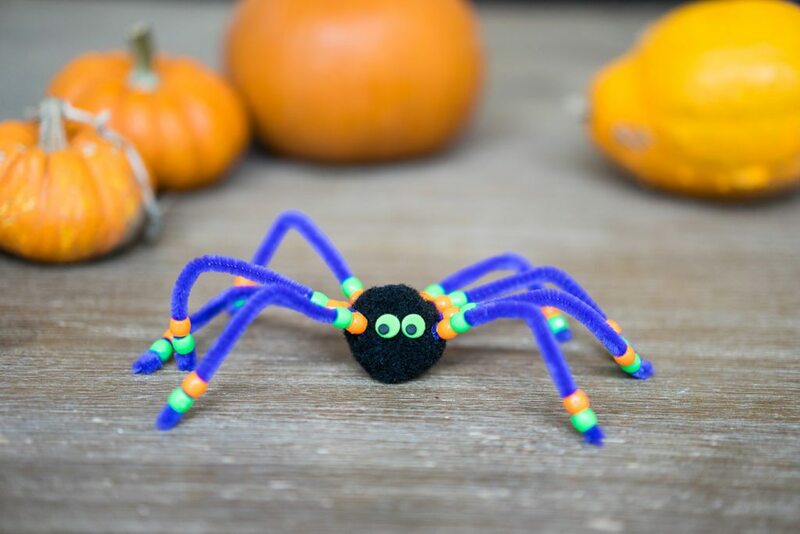 There are countless craft ideas for kids to do for Halloween but making spiders is definitely a fun one. 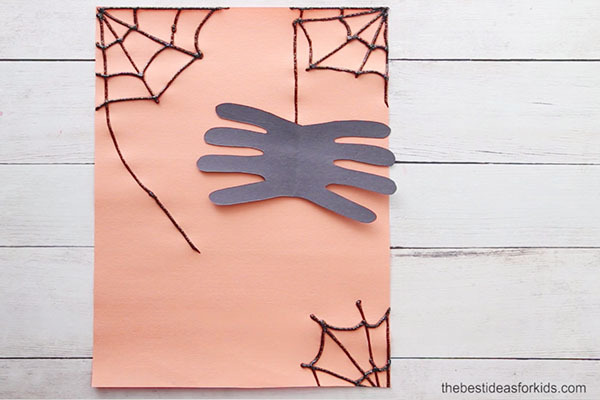 So today we’re sharing this adorable spider handprint craft. 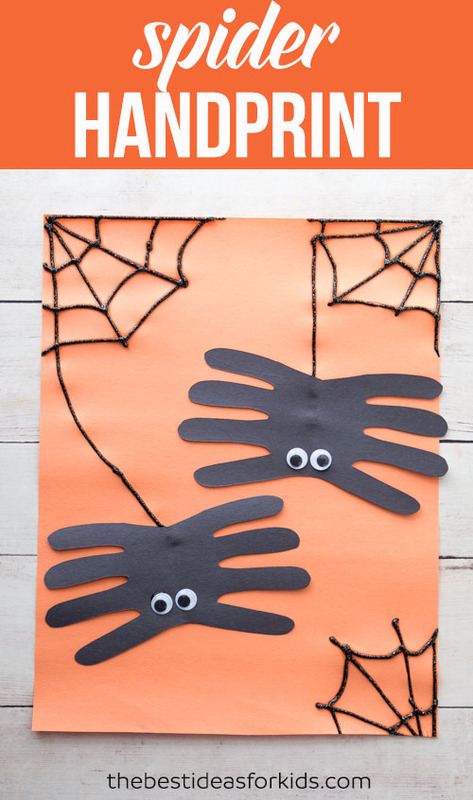 Not only is this halloween craft fun for the kids to do but it will also make an adorable keepsake or gift. 2. Trace only 4 fingers (skip the thumb) and leave about 1/2 an inch from where the lowest cutting point will be. 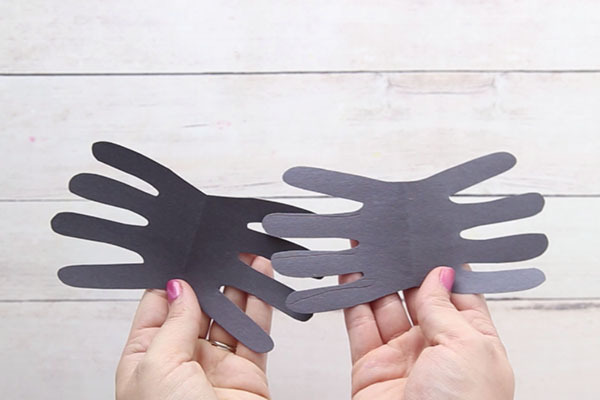 You don’t want to trace the whole hand since when you cut it out the body of the spider will be too big. 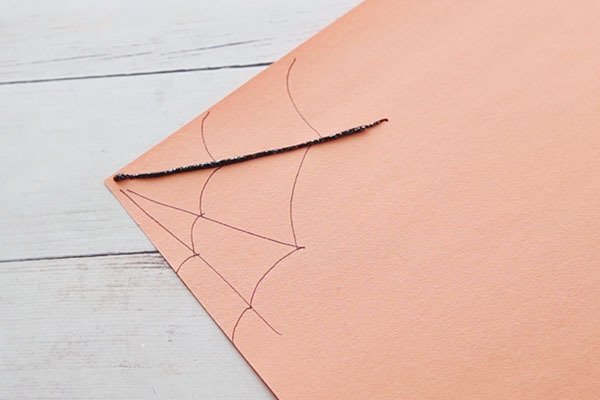 Also make sure you are tracing on the part of the folded paper where the two folder sections are (so they will each turn into a spider). Otherwise you can trace your hand twice or just do one spider! 3. Now cut out your handprint. You should now have 2 spiders. 4. 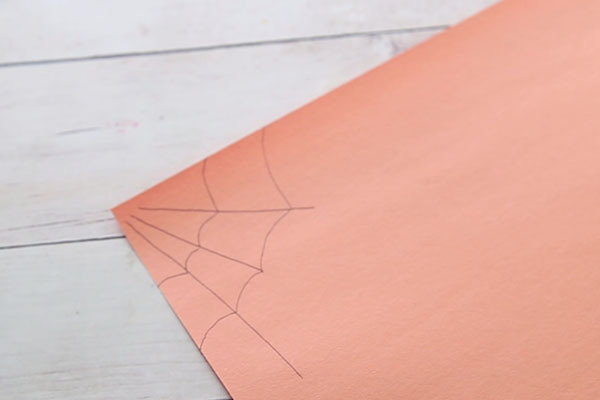 Draw spider webs on your orange construction paper with pencil or black pen. 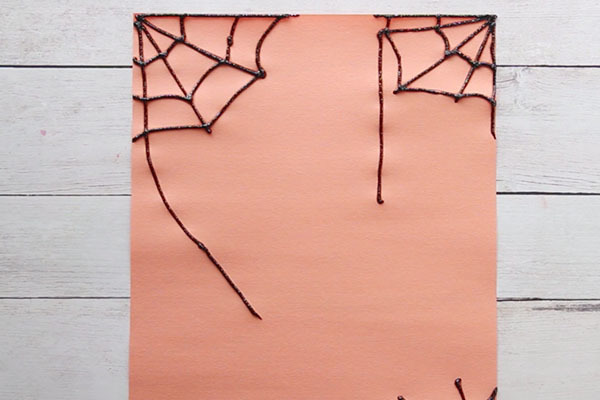 Add two web lines coming down for where you want to attach your spider handprints to. 5. Now carefully trace your web lines with the black glitter glue. 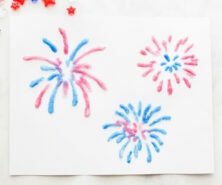 Try to make a continuous line when you are tracing to avoid the glue from making glob marks on the page. 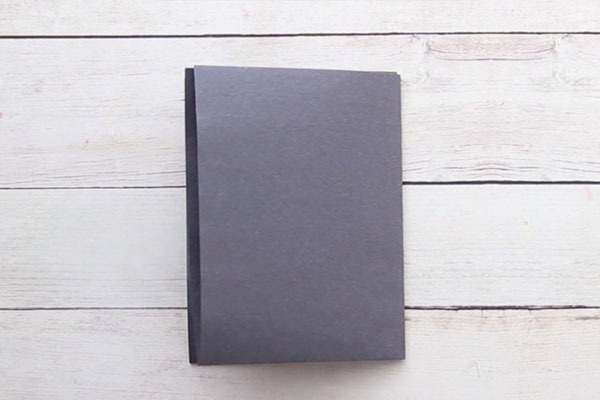 Allow your black glue to dry overnight. 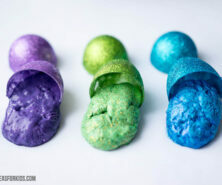 Note: These pictures were taken when the black glue was still in the drying process. Once dry the glue will settle a bit. 6. 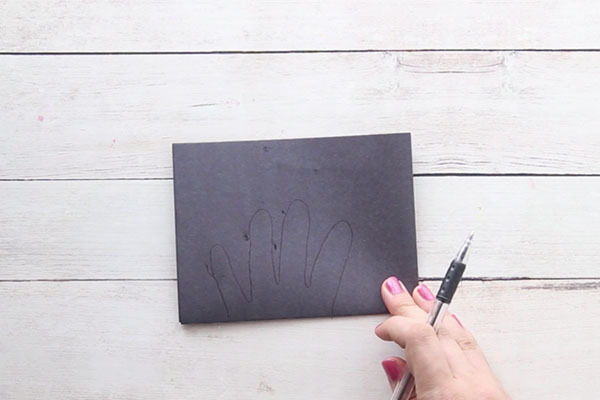 Now glue on your spider handprints! Add your googly eyes and you’re done. Isn’t this just adorable? 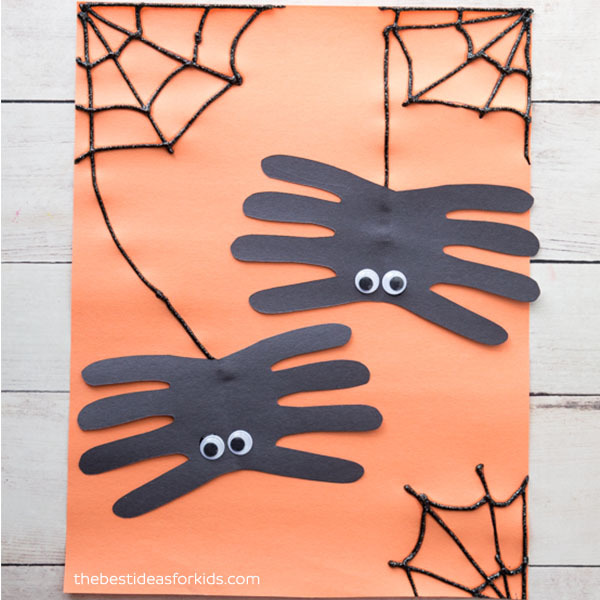 We love how cute these handprint spiders are! 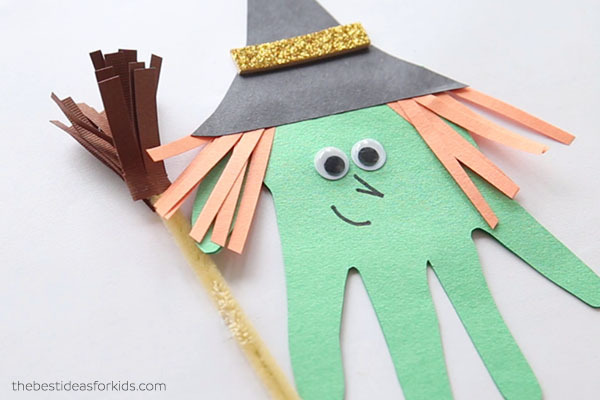 For more fun Halloween crafts, check out this adorable handprint witch. 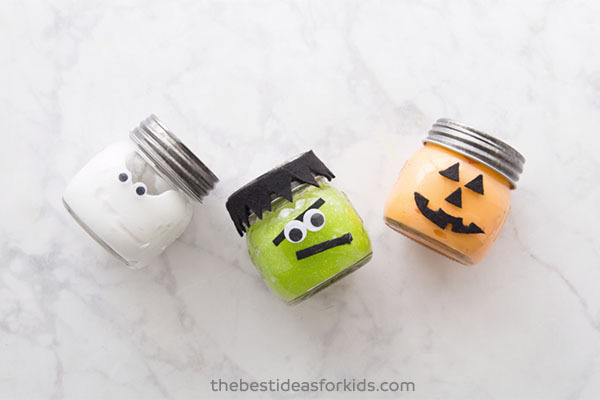 These Halloween Slime Jars are the perfect gift idea or craft for a Halloween party! 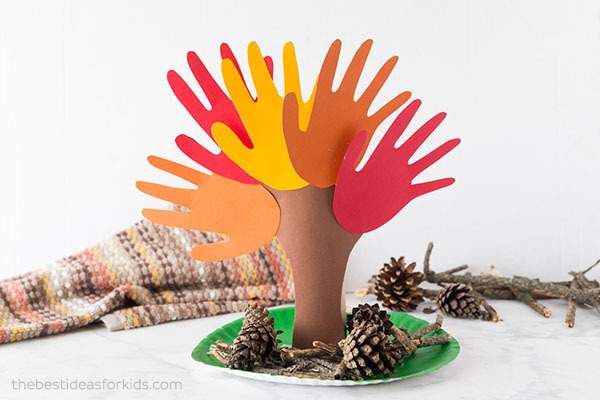 And if you love handprint crafts, this handprint tree is a perfect craft for Fall or for Thanksgiving! 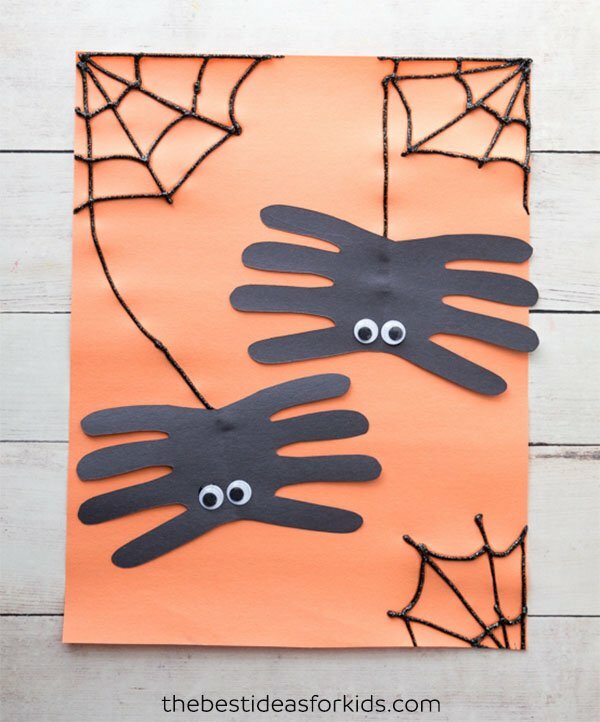 For another fun Halloween craft, see this spider craft for kids.